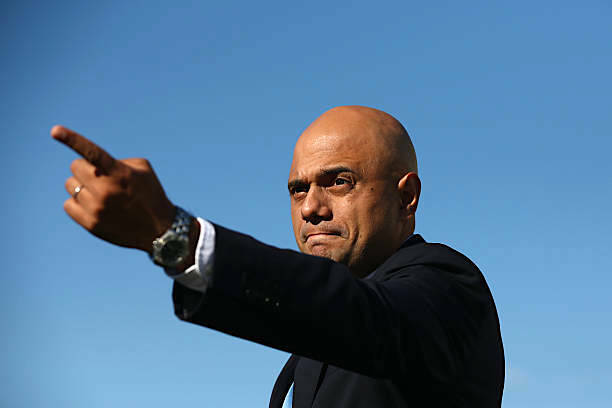 British Home Secretary Sajid Javid unveiled a new counter-terrorism initiative last week that he says targets an ever-metastasizing threat, yet it raises a raft of new questions about people’s rights. The government is acting on the imperative that something needs to be done. But MI5 – officially known as Britain’s domestic Security Service and the lead organization combating terrorism within the UK – has already, since the start of the “war on terror,” doubled in size and has been promised yet more staff over the next two years. Yet despite these boosted resources for MI5, as well as increased funding and surveillance powers for the entire UK intelligence community, virtually every terror attack carried out in the UK over the last few years has been committed by someone already known to the authorities. Indeed, the Manchester bomber, Salman Abedi, had been aggressively investigated but MI5 ignored vital intelligence and closed down the active investigation shortly before he carried out the attack. This failure to target known threats is not just a UK problem. Attacks across Europe over the last few years have repeatedly been carried out by people already on the local security radar. New approaches are needed. But this latest offering appears to be a medley of already failed initiatives and more worryingly, a potentially dangerous blueprint for a techno-Stasi state. The main points of the new Home Office plan include: making MI5 share intelligence on 20,000 “subjects of concern” with a wide range of organizations, including local councils, corporations, local police, social workers, and teachers; calling on internet companies to detect and eradicate extremist or suspicious content; making online marketplaces such as Amazon and eBay report suspicious purchases; increasing surveillance of infrastructure and big events; and passing even tougher anti-terrorism laws. It sounds reasonable until you realize how similar initiatives have failed and how the new plan can make wholesale abuse of surveillance powers more likely. The most chilling part of the MI5 plan is sharing intelligence on 20,000 “subjects of concern.” First of all, this is intelligence– by nature gathered from a range of secret sources that MI5 would normally wish to protect. When communicating with counter-terrorism police, intelligence agencies will normally hide the source, but that requires an immense amount of work for 20,000 cases before the information can be shared. Secondly, intelligence is not evidence. Effectively MI5 will be very widely circulating partially assessed suspicions, perhaps even rumors, about individuals who cannot be charged with a crime just based on the intelligence, but who will nonetheless fall under a deep shadow of suspicion within their communities. Also, if this intelligence is spread as widely as is currently being suggested, it will land in the laps of thousands of public bodies – for instance, schools, councils, social care organizations and local police. Multiple problems could arise from this. There will no doubt be leaks and gossip within communities that so-and-so is being watched by MI5 and so on. There will also be the inevitable mission-creep and abuse of power that we saw almost 20 years ago when a whole range of the same public bodies were allowed access to the then new eavesdropping and surveillance law, the Regulation of Investigatory Powers Act (2000). Back then, local councils were abusing counter-terrorism legislation to catch people who might be trying to buy second homes in desirable school catchment areas (districts) to get their kids into better schools, or even, and I kid you not, might be cockle-rustling on their local beach. Of course, such intrusive electronic surveillance powers have been significantly increased since then, with the Investigatory Powers Act 2017, that allows bulk storage, bulk dataset hacking and hacking per se. All this follows the notorious Home Office counter-terrorism PREVENT scheme – the failed parent of these new proposals. A decade ago PREVENT was designed to build bridges with Muslim communities across Britain, encouraging them to report any suspicious behavior to the authorities to nip incipient radicalization in the bud. Unfortunately it did not quite work out that way. Young Muslims told stories of pressure from MI5 to spy on their communities. It destroyed community trust rather than built it. 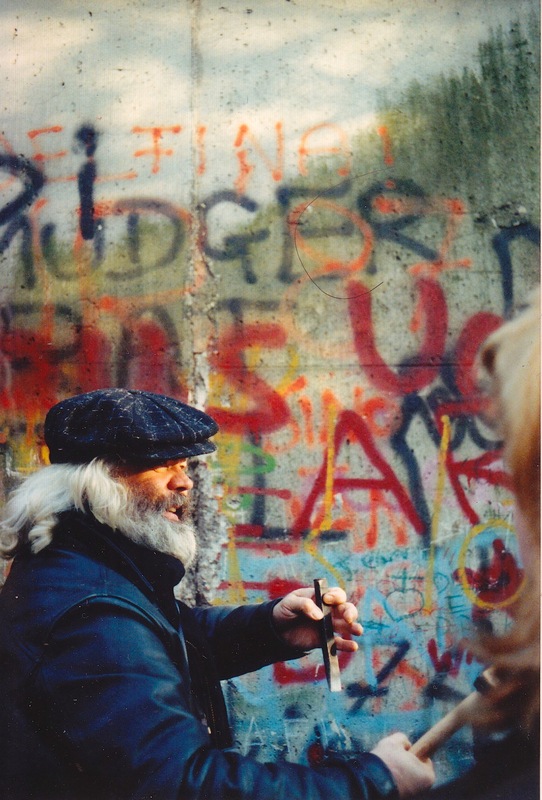 The last system of community informants in Europe was ended when the Berlin Wall opened in 1989 and East Germany’s Stasi system of a vast network of informers was shortly afterward revealed in all its horror. How ironic that the same system that was devised to protect East German youth from the “decadent influence” of the West is now being proposed in a “decadent” Western country to spy on its own youth for traces of radicalization. Suffice to say that if the British government cannot even make internet titans such as Google and Facebook pay their fair share in taxes, nor call Facebook’s Mark Zuckerberg to account in Parliament about the Cambridge Analytica scandal, then good luck forcing them make a meaningful effort to root out extremist material. But even if they do agree, the idea is fraught with the troublesome question of who gets to decide whether something is extremist material or a dissenting opinion against the establishment? Facebook, Google and YouTube are already engaging in what can only be called censorship by de-ranking in search results material from legitimate dissident websites that they, with no history of exercising news judgement, deem “fake news.” Established news sites such as Wikileaks, Consortium News and World Socialist Web Site, as well as many others listed on the notorious and unreliable PropOrNot list have taken a significant hit since these restrictions came into play on April 23, 2017. Amazon, eBay and other retail companies are being asked to report suspicious sales of precursor materials for bombs and other potential weapons. Car hire companies will be asked to report suspicious individuals hiring cars and lorries. Algorithms to detect weapons purchases may be feasible, but denying rentals to merely “suspicious” individuals who’ve committed no crimes strays into Stasi territory. Back in the era of fertilizer and nail bombs, laws were put in place across Europe to require fertilizer companies to report strange purchases – from people who were not registered agriculturalists, for example. 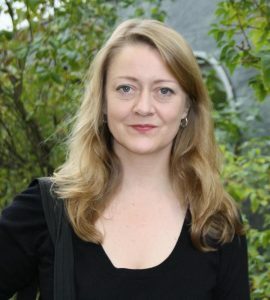 Unfortunately, this law was easily subverted by Norwegian right-wing terrorist Anders Breivik, who simply worked to establish a farm and then legally purchased the ingredients for his Oslo car bomb in 2011. 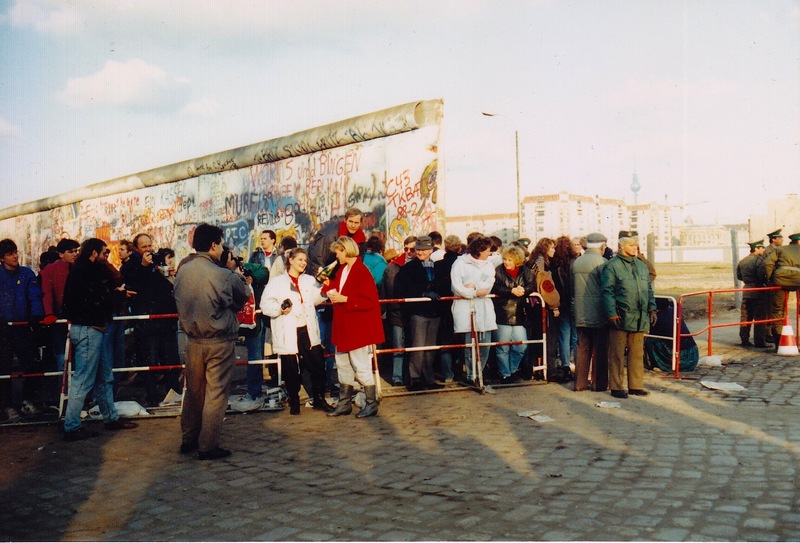 East Germans celebrating with champagne at opening in the Wall, Nov. 13, 1989. (Photo by Joe Lauria) Click for larger view. Face recognition cameras are being tested by three police forces in the UK with software that can allegedly watch crowds at events and permit police to potentially identify known criminals and suspects. Police would then be alerted to swoop in. Unfortunately, according to Big Brother Watch in the UK, these computer systems have up to a 98 percent failure rate. If the Home Secretary is really suggesting that such dodgy software is going to be used to police our public spaces, I would suggest he asks his geeks to finish their homework. Do we really want to live in a country where our every movement is watched by technology, with the police waiting to pounce; a country where, if we are having a stressed work day and seem “strange” to a clerk at a car hire company, we can be tracked as a potential terrorist; where children need to fear that, if they ask awkward questions of their teachers or raise family concerns with social care, they might be put on a watch list? In that direction lies totalitarianism. I have been tracking how a state can slide unthinkingly into such a situation for years, particularly looking at such warnings from 1930s Germany. Over the last decade I have seriously begun to fear for my country. If these measures go through, Britons could be living under SS-GB– the name of a book by the excellent spy writer Len Deighton, who envisioned what the UK would have been like if the Nazis had invaded and occupied Britain during World War Two. The acronym attributed to MI5 at international intelligence conferences way back in the 1990s used to be UK SS – UK Security Service. I hear it has changed now…. Annie Machon is a former intelligence officer in the UK’s domestic MI5 Security Service.